I’ve never been one of those people that look at the job of cutting the lawn as an unwanted but necessary task that has to be done. I actually enjoy cutting the lawn as I find it a good opportunity to get outside and get a little exercise in the process. What I don’t like is having to start my lawnmower – it can be a real pain. It’s a lot easier if you own an electric lawnmower, but they have other issues. If you have your heart set on a gas-powered mower because of their flexibility and power, that doesn’t mean you’re doomed to put up with a mower that’s difficult to start. These days there are a lot of gas powered lawnmowers that include technology to make starting them a lot easier than they were in the past. 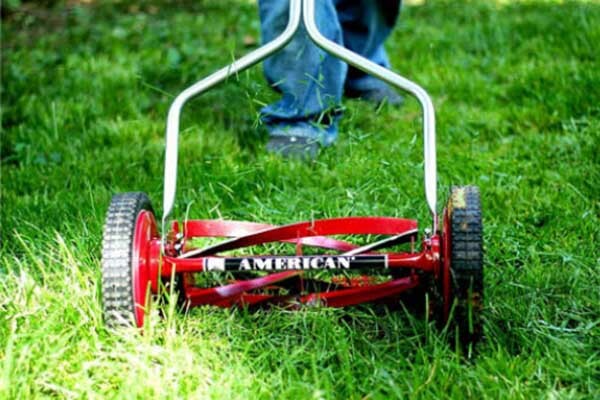 As long as you do a little bit of research before you purchase a gasoline-powered lawnmower, starting your mower doesn’t have to be a nightmare. Traditional gasoline-powered lawnmowers required you to use a choke to get them started, and if you ever owned one of these types of lawnmowers you’ll know exactly what I mean. 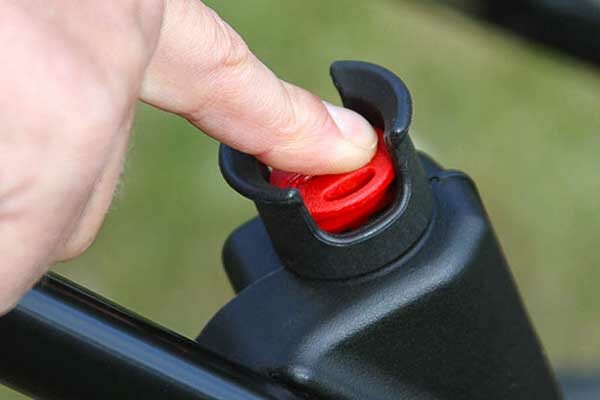 First, you had to prime the pump by pushing on it about three times and then you had to rip on a cord and hope your mower started on your first try, although that rarely ever happened. 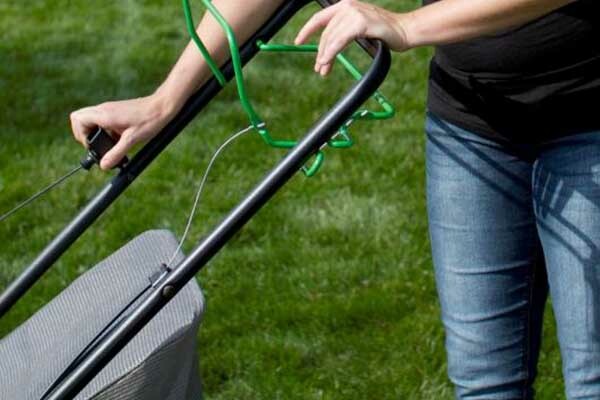 In most cases you had to pull on the cord two or three times before you got the mower going – especially if you’d pulled it out for the first time in the spring. This can be quite a workout and it can result in some injuries if you pull your shoulder out in the process. At the very least you’re bound to break out into a sweat and more than likely throw the odd curse word in your lawnmower’s direction as well. In recent years manufacturers have introduced lawnmowers with auto choke technology designed to make your life a lot easier. With these mowers you don’t have to worry about priming a pump; in most cases you don’t have to pull on a cord either, or if you do you only have to pull on it lightly. In fact, there are now gasoline-powered mowers that you simply pull back on the handle, push the button, and away you go. No more dislocating your shoulder while trying to get your lawnmower going. As good as these lawnmowers are they do have some issues that may concern you. For one thing they’re usually a lot more expensive, which may make them unattainable for a lot of people. 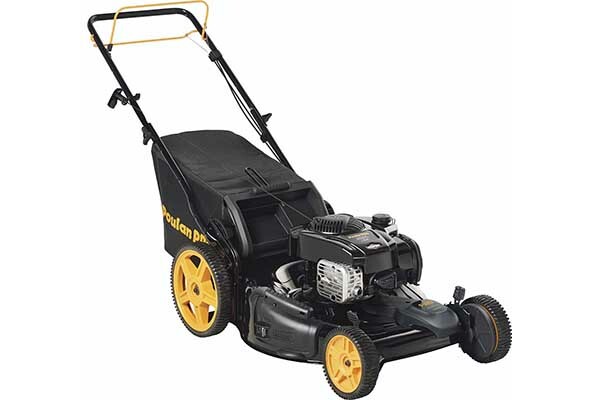 The other thing that’s important to consider if you’re thinking about purchasing one of these types of lawnmowers is that because they have more sophisticated mechanical parts they’re also prone to more breakdowns and they require more maintenance. If you take good care of them they will last a long time, but it’s important to keep in mind what you’re getting yourself into. If you want to avoid the idea of a choke altogether another great option is to choose an electric or battery-powered lawnmower – these mowers generally start by simply pushing a button. There’s no internal combustion engine, but with a corded electric mower you do have the disadvantage of having to have a power source nearby. They won’t work very well if you’re trying to cut a piece of property that’s a long way from your house. Battery-powered mowers don’t need a physical source of power as that’s built right into the mower. 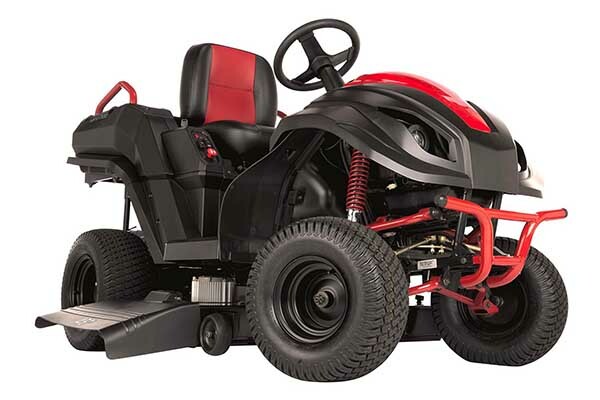 Essentially, they give you the same type of freedom you would experience with a gasoline-powered mower, but you don’t have to put up with the painful process of trying to get your mower started – you simply push a button and go. 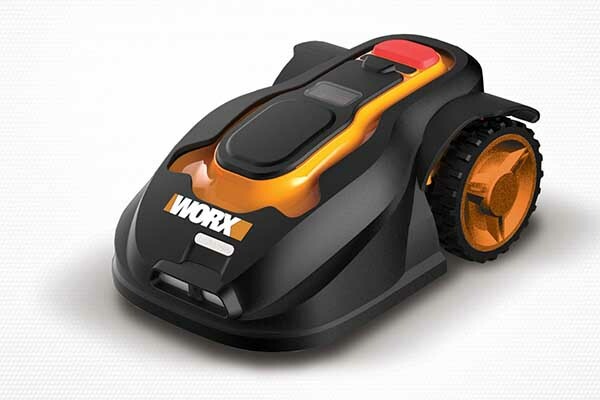 The obvious drawback of a battery-powered mower is that the battery will only last you a finite amount of time, and in many cases it’s not long enough to finish cutting your lawn. If you don’t want to have to wait while the battery charges you’ll have to have a backup battery on hand instead. There’s no doubting, though, that they’re a lot easier to start and they still provide you with many of the conveniences that you’re used to with a gasoline-powered mower. How About No Start At All? If you’re a healthy individual and you’re not afraid of a little bit of work there is one other type of mower that doesn’t require any type of start at all. What I’m referring to here are the traditional push powered mowers that have been around for over a century. To start these mowers all you have to do is push it and get yourself going. They do require a fair bit of physical labor, though, so if you’re not in the best of health they’re really not a great option. If you are in good health and you’re not afraid of a little bit of work you’ll never have to worry about a lawnmower that’s difficult to start again. 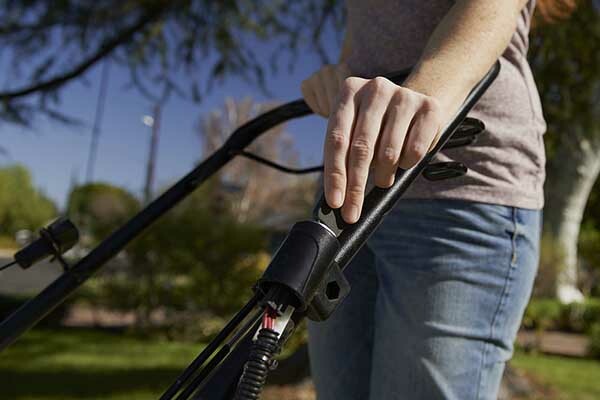 Most people want a lawn mower that’s easy to use and powerful enough to get the job done. If you have your heart set on a gasoline-powered mower and you’re willing to spend a little bit of money, finding one with an auto choke feature is your best option. 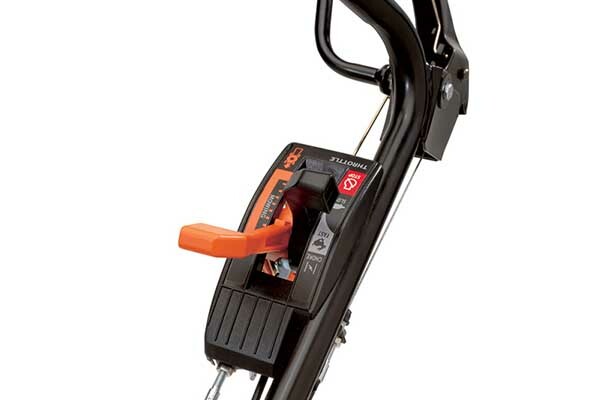 With this type of mower you no longer have to worry about pulling on a cord that may throw your shoulder out. Electric, battery-powered, and manual-powered mowers are other great options if you’re looking for a mower that’s easy to start, as we’ve discussed above.